Fuel is the biggest operational expense (>50%) in any transportation business, even more than driver expenses in India.With ever increasing fuel prices, for any business to be successful, managing and optimizing this expense is crucial. Fuel Theft and less optimal driving patterns end up causing margin loss to businesses. 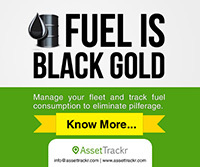 AssetTrackr’s fuel monitoring solution helps track fuel consumption, estimate mileage and automatically send alerts on fuel refills, pilferage detection etc. Very often fuel theft occurs at the pump when refueling is done. Gas station attendants collude with drivers at refueling time. The business owner knows he cannot rely on the bills produced as it is manually generated and can be easily manipulated. Many business owners manage this problem by identifying and working with designated fueling stations only. However, this is not a fool-proof approach. AssetTrackr’s Fuel Theft Prevention solution sends alerts when refueling is detected or if there is a drop in the fuel level without vehicle movement. Alerts are also sent if the engine is turned on (with AC running) and vehicle is stationary. This ensures that the owner/fleet manager is aware and keeps the driver honest. Check current fuel level reading from the web / smartphone with +/- 2% accuracy. Check exact amount of fuel refilled along with location and time. This helps the owner reconcile the fuel bills provided to him by the drivers. Provides the mileage between successive refills. Use this information to estimate mileage, identify vehicle maintenance requirement and rate drivers. Check refill locations on the map along with refill liters. Get alerted on your Smartphone on fuel refill / pilferage. Get fuel consumption for a particular trip. Compare fuel consumption information for the same trip across drivers/vehicle. This helps identify bad/good driver behavior and vehicle performance issues. Combined with AssetTrackr RFID solution, driver behavior and fuel related issues can be tracked and analyzed. T-FMS is bundled with reports and graphs which are informative and user friendly. Fuel Consumption Graph. The blue shaded section shows fuel consumption plotted against time. The red sections indicates whether vehicle engine was on. The annotations shows time, location and no of liters of fuel refilled. The blue shaded section shows fuel consumption plotted against time. The red sections indicate whether vehicle engine was on. The annotations shows time, location and no of liters of fuel refilled. The graph shows a sharp increase when a fuel refill is done and the points have been accordingly marked as A, B, C etc. 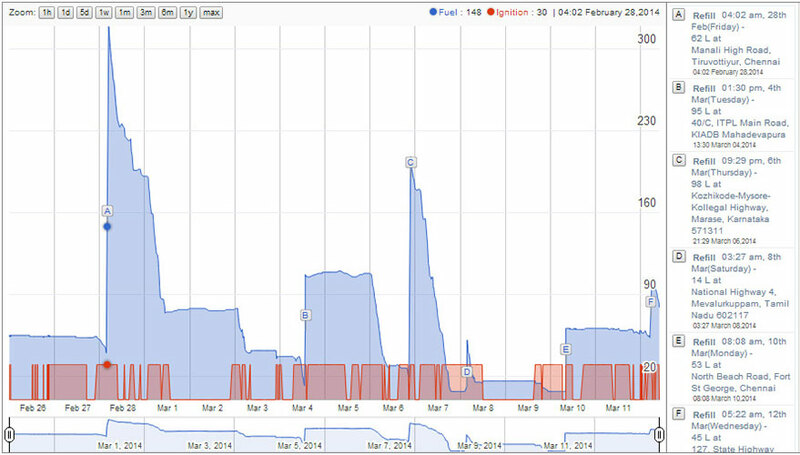 To the right of the graph is the list of locations where the fuel refill was done. This information gives the details like location of refill done, time and date of the refill and the liters of fuel refilled. This graph can also be used to detect fuel theft. When the graph suddenly dips at certain point, it is an indication of sudden decrease in fuel level which can be a valid proof of a fuel theft. Fuel Refill Report – Showing time, location and no of liters of fuel refilled. This report gives the information of the fuel refill report in tabular form. It gives the information about the date and time of refill done, initial liters before refilling, final reading after refilling, actual liters of refilling, and location where the refill was done. Fuel sensor is specially designed to ensure high reliability in fuel readings. Smart algorithms in the sensor ensures that the fuel reading are normalized against any variations due to vehicle movement, sudden jerks, uphill climb or downhill descent of the vehicle. This ensures very accurate and reliable readings. M/s Vinayaka Handlers, Chennai have deployed the fuel tracking solution on all of their long-haul trucks and find it extremely useful to consolidate fuel-consumption, track and locate vehicles etc. “Having used other fuel sensing solutions with limited success, we found AssetTrackr fuel management solution works extremely well and is reliable. Their reports, graphs and analytics help us profile driver behavior, identify vehicle performance issues and address fuel pilferage issues easily” says Mr.Ramesh, Managing Director, Vinayaka Handlers. The solution has enabled businesses save on fuel expenses on an ongoing basis and improve operational profitability. In long-haul transportation, drivers are responsible for the safety and security of the truck and its contents. Multiple drivers are associated with the vehicle during the trip either travelling with the vehicle and taking shifts or on-board at various points along the trip. Drivers are held accountable and transportation companies provide incentives for drivers to drive safely and reach destinations on time. 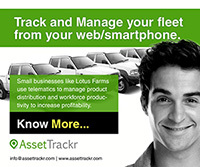 AssetTrackr solution helps businesses analyze driving patterns and associate accountability to drivers. Combined with driver identification using RFID, driving patterns (like harsh breaking, acceleration, coasting, over speeding), fuel consumption and derivative mileage can be associated with the driver. 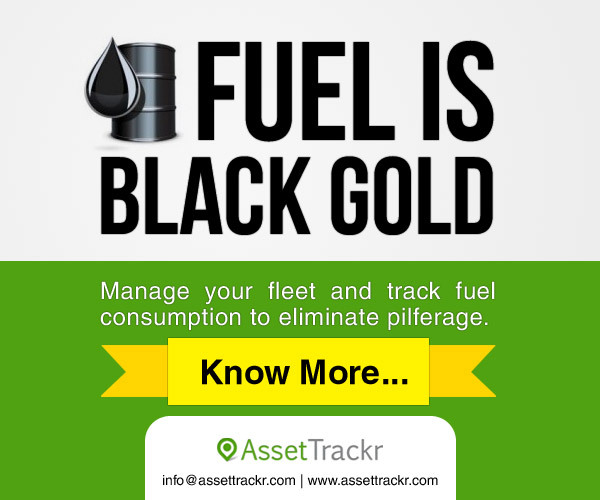 Any sudden drop in fuel levels can be quickly analyzed and quizzed. Using the data collected during the trip and across trips, valuable insights can be gathered on actual and expected mileage for sections of the trip! Businesses can enforce best practices by monitoring whether drivers are following safety practices by not over speeding, taking breaks at regular intervals etc.